Beautiful resorts line the sand up and down the Grand Strand, and oceanfront condos in Myrtle Beach are a fantastic option for investors! A majority of these oceanfront condos are considered “condotels”. A condotel is an oceanfront resort that operates much like a hotel, with a staff at a front desk, reservation booking, and maid services provided by a rental agency. Financing can sometimes be tricky on these types of properties, so be sure to check with your lender on what options you have prior to touring oceanfront condos. Things to consider when purchasing an oceanfront condo in the Myrtle Beach area are location, hotel management, and a strong two to three year rental history. If all three of these fall into place, chances are you’ll make a great investment! 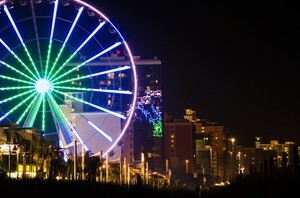 Here is your guide to some of the most popular and desirable Myrtle Beach oceanfront condo communities. Call 843-424-6900 or email us for more information.